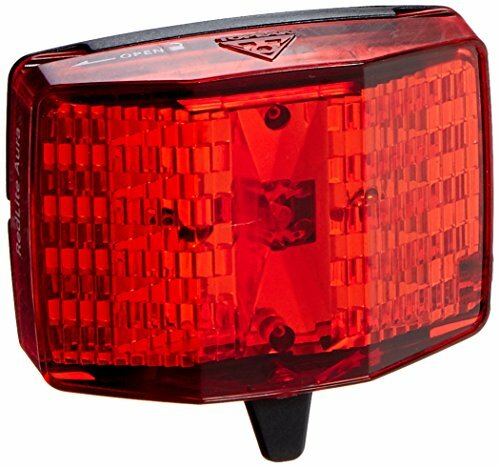 This tail light features 3 super bright red LEDs (1 High Flux Piranha). Mounts to Topeak racks or seatpost. Light include 2 CR2032 batteries. Two modes constant or blinking. Burn time approx. 60/120 hours. Weight 32 grams.